I love Halloween. It's my favorite holiday of the year. There are people who count down to the holiday season, I wait for Halloween. Buffy the Vampire Slayer Season 2 Episode 6 is an episode that I'm excited to rewatch with all of you. We only get three Halloween episodes in Buffy the Vampire Slayer and each one is special. This was where the trilogy started. Let's rewatch "Halloween." 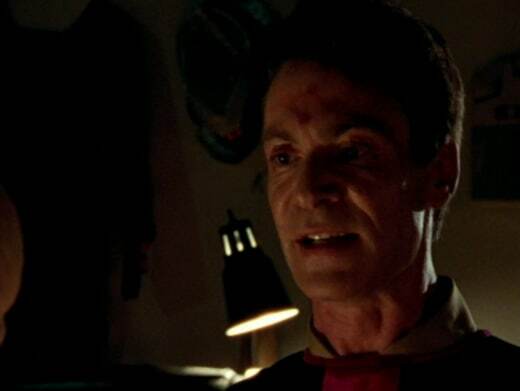 Even though he was the villain, Spike did a smart move to have Buffy's fighting style recorded. Buffy is no ordinary Slayer. She already died and came back to life; that unto itself was a miracle. Spike needed to step up his game to kill the modern Slayer. We already knew he killed two people in the past and he thought he could do it again. However, I think he seriously underestimated Buffy. It's sad to see Buffy so self-conscious of Cordelia. She had nothing to worry about. Regardless of Cordelia's advances, Angel was always into her. Even with all the strength and skill to hunt the vampires, Buffy is still an anxious and insecure character at times. And these flaws make her more relatable, which is important on a supernatural show. What I love about "Halloween" is that it cements the Buffy/Angel relationship and ends the competition. Xander no longer was after Buffy and Cordelia stops flirting with Angel. We have a definitive answer to the love triangles. With where the storyline went after "Halloween," I'm happy we as viewers didn't waste more time on these distractions. Buffy: I think I just violated the guy code big time. Willow: Poor Xander. Boys are so fragile. Speaking of, how was your date last night? Buffy: Misfire. I was late due to unscheduled slay-age. Showed up looking trashed. Buffy: Actually he was pretty unmad. Which probably had something to do with the fact that Cordelia was drooling in his cappuccino! Willow: Oh, Buffy. Angel would never fall for her act. Buffy: You mean that “actually showing up, wearing a stunning outfit, embracing personal hygiene” act? Willow: You know what I mean. She's not his type. Buffy: Are you sure? I mean, I don't know what his type is. I've known him less than a year, and if you haven't noticed, he's not exactly one to over share. Willow: True. It's too bad we can't sneak a look at the Watcher Diaries and read up on Angel. I'm sure it's full of fun facts to know and tell. Buffy: Yeah, it's too bad. That stuff is private. Willow: Also, Giles keeps them in his office...in his personal files. Buffy: Most importantly, it would be wrong. Permalink: Poor Xander. Boys are so fragile. Of course Xander would be mad at Buffy for defending him. If we hadn't already known, his ego was a tad too fragile. He liked to be the strong man and exert his power when he could. I find this hilarious because Buffy AND Willow are the two characters who become more powerful as the series progresses. He never had a problem with Buffy saving him in the past before. This was probably heightened more so for his Halloween costume choice later on, and the introduction of Larry. If you don't remember Larry, no worries! He'll be back for more episodes to come. We'll go in-depth with his secret and "friendship" with Xander. I love it when Willow and Buffy have BFF adventures together. They had the strongest friendship that developed over the course of the series. Their adventure to steal the Watchers' Diary reminded me a lot of a teen sitcom episode, like from Beverly Hills, 90210 or Saved By The Bell. Even though Willow and Xander were best friends before Buffy the Vampire Slayer Season 1 Episode 1, I think Buffy slid into the role of Willow's BFF easily. I had a nagging question once they found the book: How did Cordelia not know Angel was a vampire? She was helping the Scoobies ever since Buffy the Vampire Slayer Season 1 Episode 13; she would've seen him as a vampire by then. How could she miss this? Also, if they told her about the existence of vampires BEFORE the finale, why didn't they just loop in Angel's truth too? This was a strange plot hole. Buffy: Angel’s a vampire. I thought you knew. Cordelia: Oh, he’s a vampire. Of course, but the cuddly kind...like a “care bear with fangs”? Cordelia: You know what I think. I just think you’re trying to scare me off because you’re afraid of the competition. Look Buffy, you might be hot stuff when it comes to demonology or whatever, but when it comes to dating, I’m the Slayer. Permalink: when it comes to dating, I’m the Slayer. Everyone's costume choices had a lot to say about their character development. Buffy wanted to stand out in Angel's eyes, Willow wished to fade away and hide, and Xander sought to be tough while cheap. These themes suited their characters pretty well. When it comes to the ritual, I've rewatched "Halloween" many times and I still think Ethan knew exactly what he was doing with Buffy. He planned to turn everyone into their costumes and by giving Buffy the dress, it would make her considerably weak. This was the perfect way to get back at his old friend who became a Watcher. I'm not saying it was his plan from the beginning; more as a pleasant by-product of his ritual. Side-note: If Principal Snyder had tried to force me to do the chaperoning, I would've said no. He has no control over these students' lives after school and unless they were in trouble, he can't force participation or punishment. Also, if anyone else noticed, he manhandled a few students. That is a big no no, regardless if this is from the '90s. I would tell my parents right away and make it an issue. Looking back at Buffy the Vampire Slayer Season 2 Episode 6 now, there were some pretty iconic moments. We saw Willow wearing the ghost costume to hide her bad girl outfit. Buffy screaming at the car and calling it a "demon!" And we can't forget the amnesia joke. Even though Buffy the Vampire Slayer is a dramatic sci-fi show, the show lives in comedy too. All of the actors have great comedic timing. They must have had fun taking a break and playing these extremes for a week. Xander: We must have some kind of amnesia. Buffy: I don't know what that is, but I'm certain I don't have it. I bathe quite often! Xander: How do you explain this? Buffy: I don't! I was brought up a proper lady. I wasn't meant to understand things. I'm just meant to look pretty, and then someone nice will marry me, possibly a Baron. Xander: This ain't no tea party, princess. Sooner or later you're gonna have to fight. Buffy: Fight these low creatures? I'd sooner die. Permalink: Fight these low creatures? I'd sooner die. Did anyone else notice Cordelia checking Xander out? It was a quick moment, but she did it. The moment happened when he took off his jacket and put it over her. She was taken aback by his arms and military vibe. While we saw early teasers of a romance on Buffy the Vampire Slayer Season 2 Episode 2, this was the first time she noticed him. It's almost as if the story was preparing us for the eventual connection. The end dialogue of them moving on from Buffy and Angel, as well as Cordelia getting frustrated with Devon, makes a lot of sense in hindsight. Also, shout-out to Cordelia for sporting the pre-Mean Girls costume style before the movie ever had to explain it. Buffy the Vampire Slayer Season 2 Episode 6 was another episode that pushed WIllow's character development. With Buffy stuck as a proper lady, she couldn't defend or lead the group. Willow took charge and made the decisions. I like this side of her. Sure, there is a special place in my heart for wallflower Willow. However, when she becomes more confident and brave, she turns into powerful witch we grew to love. Willow: Okay, you guys stay here while I get some help. If something tries to get in, just fight it off. Buffy: Well, it's not our place to fight. Surely some men will protect us? Willow: it's like amnesia, okay? They don't know who they are. Just sit tight. Cordelia: Who died and made her boss? Permalink: Who died and made her boss? Foreshadow alert: Remember when I said we'd learn more about Giles's conflicting past? "Halloween" was the episode to start the storyline. Ethan Rayne and Giles have great chemistry together. The way they spoke to each other was almost electric. You could feel the power and animosity with every word. Ethan: What? No hug? Aren't you pleased to see your old mate, Rupert? 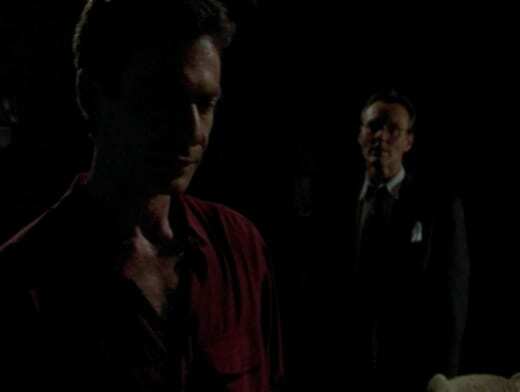 Giles: I'm just surprised...I didn't guess it was you. This Halloween stunt stinks of Ethan Rayne. Ethan: Yes, it does, doesn't it? Don't wish to blow my own trumpet, but it's genius. The very embodiment of "Be careful what you wish for." Giles: It's sick, brutal, and it harms the innocent. Ethan: Oh, and we all know that you are the champion of innocents and all things pure and good, Rupert. It's quite a little act you've got going here, old man. Giles: It's no act...it's who I am. Ethan: Who you are? The Watcher. Sniveling, tweed-clad guardian of the Slayer and her kin? I think not. I know who you are, Rupert, and I know what you're capable of. But they don't, do they? They have no idea where you come from. Giles: Break the spell, Ethan. Then leave this place and never come back. Ethan: Why should I? What's in the bargain for me? Giles: You get to live. Ethan: Oh Rupert. You're scaring me. Permalink: This Halloween stunt stinks of Ethan Rayne. When I was a kid watching Buffy the Vampire Slayer Season 2 Episode 6, I was shocked when Giles attacked Ethan. We had never seen this side to him. He was the stuffy librarian who followed rules and proper etiquette. Him attacking Ethan was almost like he flipped a switch to become someone new. I still feel that way after rewatching it. And to hear Ethan tease about a "Ripper", it peaked the curiosity. Did anyone notice the two errors in Buffy the Vampire Slayer Season 2 Episode 6? The first is when the vampire breaks into Buffy's house and Angel starts fighting him. It makes sense for Angel to walk into the house since he was invited. The Halloween vampire, on the other hand, shouldn't have been able to get in if he "became" a vampire. My theory is that he isn't a real vampire since it is a ritual creation. This is a plot hole I tend to ignore. The second error was at Ethan's Shop. When Giles asks Willow to leave, you can hear the sound of her open and close the door. She's a ghost...she shouldn't be able to do that. Even to this day, I will never understand why Buffy didn't stake Spike after beating him in the warehouse. I mean, he nearly killed her and she stopped him in time when the ritual ended. However, she let him go without following him. Buffy should have finished the job or gone after him. This was her perfect opportunity! Why do you think she let him go? Giles: Alright, let's-let's-let's review. So, everybody became whatever they were masquerading as? Willow: Right. Xander was a soldier and Buffy was an eighteenth-century girl. Giles: Yes. Ummm...the ghost of what, exactly? Buffy the Vampire Slayer Season 2 Episode 6 is a fun hour. It's one of my favorites for a reason, and one that I will rewatch multiple times. And with Halloween being just last week, now was the perfect time to rewatch. To be fair, it isn't the most perfect hour; there are some noticeable errors. However, for a story that seemed like a one-off plot, we did get a lot of important plot development, like the romances and the introduction of Ethan. I would say this is a must. What did you think of "Halloween"? Did Joyce freak out after seeing the mess in her house? What costume would you have worn? Want to join us in rewatching Buffy the Vampire Slayer? We will be posting new rewatch posts every Tuesday and Thursday. Come back here and share your thoughts of the episode.